This stunning reconstruction project in Blainville was originally completed only 6 years ago by another contractor. 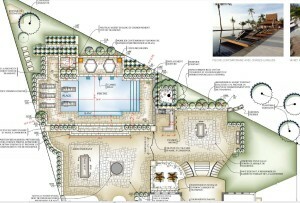 The clients were not satisfied with the work and they were having major problems with their pool. Enter Groupe Paramount! 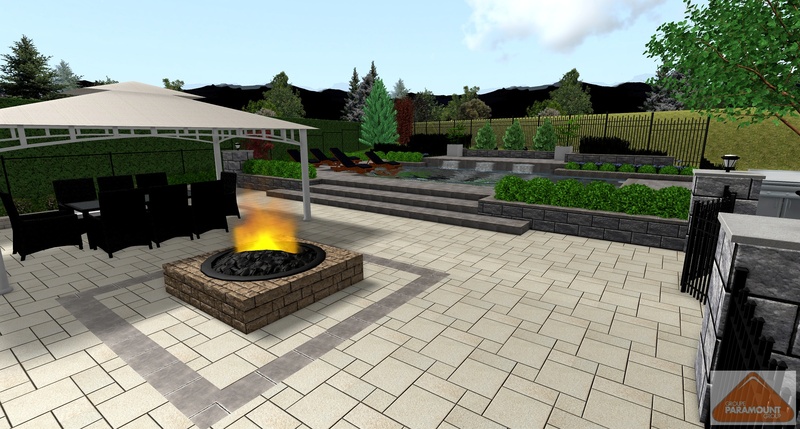 Working in collaboration with an independent Landscape Architect, Richard Belisle, our in house 3D Modeller, Mathieu Bédard, was able to propose the final design for this property. The Paramount team transformed the botched backyard into a relaxing summer oasis. This turnkey backyard is perfect to spend quality time with family and friends. The pavers and stones used were from Techo Bloc, the pool was capped using the Bali Travertina, the walls with Raffinato and the tiered patio with Travertina 30×30 in Ivory colour. This family can now cozy up by the fire pit on a chilly night or invite the whole family for a BBQ in this little slice of nice!